That’s Entertainment Performing Arts Competition is very much a family affair. Founders RoseMary and Joel Pontuck owned StarMaker Dance and Gymnastics studios in the New York metro area for 35 years, so it was no surprise when daughter RoseMary Pontuck, Jr. (aka Roe) joined the family business. Now all three head That’s Entertainment Performing Arts Competition. Headliners is one of the longest-running competitions in the country, as well as in the ADCC. Mother/daughter team Irma Ziegler and Shari Tomasiello first entered the dance competition world in the early 1980s, when the Fred Astaire Organization chose to branch out from Ballroom events and start a performing arts competition. Will Shover gravitated more to gymnastics and tumbling than dance, until his parents took him to a Carolina Dance Masters convention. Sandra Walsh’s mother started her in dance lessons to help overcome shyness. Sandra is now President and Competition Director at Elite Dance Challenge. ADCC Board President and Groove CEO Daniel DeFranco grew up as a dance kid in New Jersey, working on hip hop moves in the studio and going to dance competitions on weekends. “I’ve danced my entire life,” says Melissa R. Tessier of Sophisticated Productions Dance Competitions, The ADCC’s newest Platinum Member. When Ginny Faubell started Beyond The Stars in 2005, she never dreamed that the company would create fulltime opportunities for family members, including her daughter Nikki Faubell, who is now co-owner. Drew Vamosi of Leap! 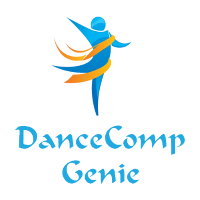 National Dance Competition has been in the dance industry most of his life beginning at age three when he saw Arthur Duncan tap dancing on the Lawrence Welk show and begged his parents to let him dance.